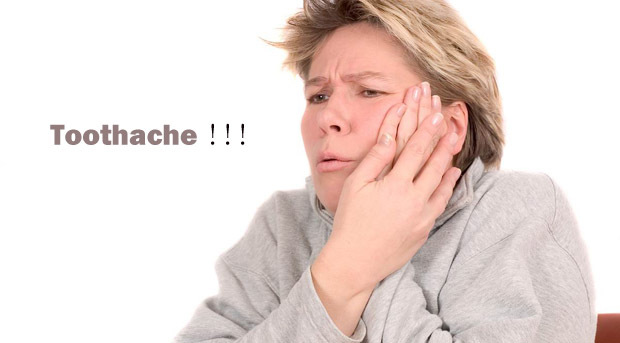 Toothache causes tremendous pain in the teeth and gums. You can’t eat anything properly; every time you open your mouth it starts paining. Toothache is usually unbearable, sometimes it’s sharp at a single place or sometimes very gentle with less pain. Toothache can be caused by a cavity in the teeth, jaw joint disorder, loose filling, and gum disease, crack in the tooth or exposed root of a tooth. If this toothache happens at a time, you are not able to go to dentist or if it is a Sunday. You can try natural & home remedies, where only easily available elements are used and it really stops or lessens the toothache pain. Tooth problems like bleeding of gums and toothache is easily cured by asafoetida. Add a bit of asafoetida powder in to a lemon juice, warm it slightly. Now take cotton and apply this mixture to the area where it is paining or bleeding. You will quickly see that the bleeding has stopped, in case of pain, the pain will lessen. Fried asafoetida with butter will also help in relieving from cavity pain. You can put a small ice pack on the affected area. It will stop paining or bleeding immediately. In case you don’t have an ice pack at home, you can make one yourself. Take few cubes of ice, wrap it up in a plastic bag and then cover it with a thin layer of cloth. It is ready to be used as a homemade ice pack. Apply it directly on the affected place, it will show immediate results. Or even directly rubbing the ice on the area will work. One of the best elements to decrease the toothache, it is available at every household kitchen. You can try the mixture of vinegar & bay berry paste. Apply the mixture on the area where it aches, you will immediately get relief. In fact you can use this as toothpaste and apply on the gums to make it stronger. Highly effective way to treat that aching teeth of yours is by using salt water (warm). This is very easy to make solution and anybody can make it. You just need to add salt to a glass of warm water and then gargling with it thoroughly. It will kill the germs as well as reduce the ache. This solution extracts the fluid from the tissues & reduces nerve swelling. Mixture of pepper and salt will be very useful for them who have sensitive teeth. It reduces the sensitivity of your teeth and makes the root stronger. Make a paste by crushing both pepper and salt (take small & equal amount) and add a bit of water in it. Apply this thick paste directly on the affected area and allow it to get set there. Do this repeatedly consecutively for some days and you will get relief from toothache. Guava leaves can help in reducing the tooth pain. While in pain, start chewing fresh & tender guava leaves until the juice starts pouring into the affected area. Another home remedy which can be made of guava leaves is adding 6-7 leaves into boiling water. Thereafter, add a pinch of salt into the solution and later use it to gargle. In case, you are not getting with any of the above mentioned home remedies. Consult a dentist as soon as possible. The problem can be severe, if the toothache persists. Sometimes in case of sensitive teeth simple treatments don’t work.